We are hiring our Summer Student! 16th Annual Starlight Film Festival for Youth returns April 26th, 2019 to Owen Sound Galaxy Cinemas. 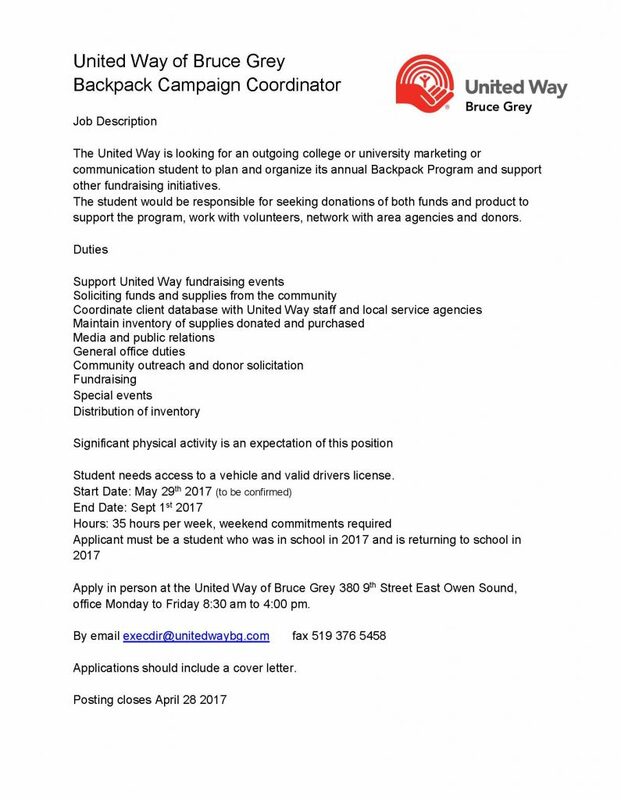 “10th Annual Awards Night at the Movies” in support of United Way Bruce Grey returns February 24th! Meeting unmet needs in Bruce and Grey Counties by mobilizing volunteer & financial resources in the common cause of caring.